President Barack Obama intends to use the congressional recess to bypass the Senate and appoint Donald Berwick, an expert on patient care who's drawn fire from the GOP, to oversee Medicare and Medicaid, the White House announced late Tuesday. The appointment was to be made Wednesday, with lawmakers out of town for their annual July Fourth break, White House communications director Dan Pfeiffer said in a post on the White House blog. The decision means Berwick can assume the post of administrator of the Centers for Medicare and Medicaid Services without undergoing confirmation hearings in the Senate. Republicans have indicated they're prepared to oppose him over comments he's made on rationing of medical care and other matters. Democrats want to avoid a nasty confirmation fight that could reopen the health care debate. Berwick was nominated in April but no confirmation hearing had been scheduled. "Many Republicans in Congress have made it clear in recent weeks that they were going to stall the nomination as long as they could, solely to score political points," Pfeiffer wrote. "But with the agency facing new responsibilities to protect seniors' care under the Affordable Care Act, there's no time to waste with Washington game-playing." The decision to use a recess appointment to skirt the Senate is sure to draw fire from Republicans although the tool has been used frequently by presidents of both political parties. Obama last made a batch of recess appointments in March, and along with Berwick he was to make two other less prominent appointments Wednesday, one to a pension board and the other to a science post in the White House, the White House said. The recess appointment will allow Berwick to serve through next year without Senate confirmation. 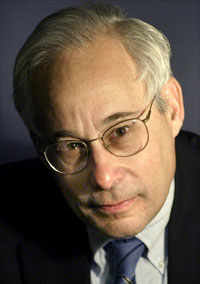 Berwick, 63, is a pediatrician, Harvard University professor and leader of a health care nonprofit organization who's drawn support from many quarters, including the American Medical Association, since his nomination to oversee the enormous Medicare and Medicaid health insurance plans for the elderly, poor and disabled. He's been criticized by Republicans for a number of comments, including telling an interviewer last year: "The decision is not whether or not we will ration care — the decision is whether we will ration with our eyes open. And right now, we are doing it blindly." Republicans have seized on that to cast Berwick as someone who would deny needed care based on cost, while supporters contend rationing already is done by insurance companies and Berwick simply wants transparency and accountability in medical decisions. It's just those echoes of last year's acrimonious health care debate that Democrats would prefer not to replay on the Senate floor. Medicare has been without an administrator since 2006, and the White House says the need to fill the post is critical because of its role in implementing the new health care law. Medicare is to be a key testing ground for numerous aspects of the new law, from developing new medical techniques to trying out new payment systems, and the White House says a permanent leader is key with deadlines in the law approaching. In addition to his professorship at Harvard, Berwick is the president of the Institute for Healthcare Improvement, a nonprofit in Cambridge, Mass., that works to develop and implement concepts for improving patient care.